Thank you for showing interest in helping a family achieve their dreams of being a parent. 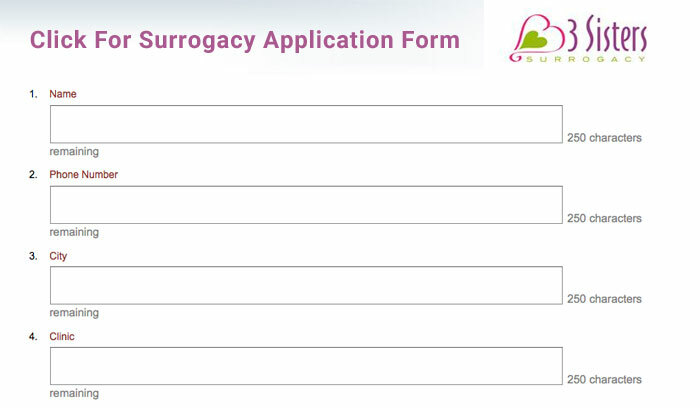 To begin the process we will direct you to our Surrogacy Application form. We have the following criteria to qualify as a surrogate mother in our program. Live in a surrogacy-friendly state like Texas. Have delivered a live-born child at term. Undergo a complete medical exam (obstetric and lifestyle history, physical exam, infectious disease screening, uterine cavity assessment). Surrogate Candidate and Spouse (partner) will have a complete background check performed. Obtain legal counsel (Must use different lawyer than intended parent/parents use). If married, the spouse must sign legal contracts.